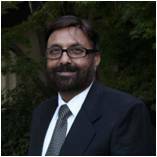 President of MOHAN USA, Dr. Anirban Bose is Associate professor of Medicine and Nephrology at th University of Rochester in Upstate NY. Having experienced firsthand the problems patients in India face in their effort to get a kidney transplant, he has a long and abiding interest in renal transplantation from both a personal and professional standpoint and seeks to volunteer his time to furthering the cause of MOHAN USA. Vice President of MOHAN USA, Adi Dasika is founder and president of Icon Technologies. He lives in New Jersey and is widely traveled. He has seen the benefits of organ transplantation and seen the problems patients with end-stage organ failure face in India. He has helped organize fundraisers to benefit such patients and having had the spiritual satisfaction of helping others at need, he along with his wife Lakshmi have decided to dedicate their retirement for the cause of raising organ donation awareness in India. They bring their passion and enthusiasm to MOHAN USA. 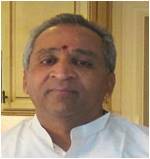 West Coast Liaison for MOHAN USA, Mr. Manmohan Mahal was born in India and migrated to USA in the seventies. He has a bachelor’s degree in Mechanical and Nuclear Engineering from University of California, Berkeley. He has Worked in silicon valley for National Semiconductor, Fairchild, Intel and Hewlett Packard. He specializes in the building and construction of clean room facilities by building Semiconductor manufacturing fabs. In the mid eighties he had a medical set back and suffered from a heart attack. He received a heart transplant at Stanford in 1993. Since than he has devoted his life to supporting the CTDN (California Transplant Donor Network) as an ambassador speaking at Hospitals and Universities to support organ and tissue donation. He considers himself one of the luckiest survivors of a heart transplant for over 20 years. He would like to support Mohan USA and continue to promote organ donation in India and all over the world. 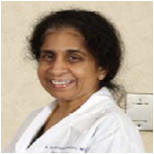 Founding trustee, Dr. Manjula Balasubramanian, MD is a transplant pathologist involved with bone marrow and solid transplant for more than 30 years and has personally witnessed how transplants can save lives, transform lives and families. She comes with expertise in this area and is interested in seeing growth in this field. She hopes to be able to contribute to MOHAN USA’s noble cause of fostering ethical organ transplant availability in India through her expertise. Secretary of MOHAN USA, Mr. Sudhakar Nagavalli is a Healthcare Technology Management and Planning Consultant. For last 35 years he has been engaged in delivering clinical equipment and technology solutions to various healthcare institutions in USA, Canada, Saudi Arabia, Qatar, and India. He is extensively involved with the advocacy of Clinical Engineering in USA. He is a current member of USA Board of Examiners for certifying Clinical Engineers, Biomedical Technicians, Clinical Lab Equipment Engineers, and Radiology Equipment Engineers world wide. 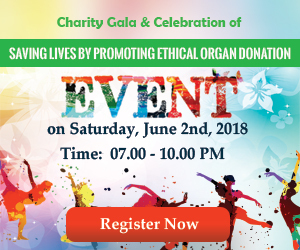 He is keenly interested in promoting the importance of Organ Donation and further the cause of Mohan USA by volunteering his time. Joint Secretary of MOHAN USA, Mr. Arun Shroff is the founder and CEO of FrontPoint Systems, Inc. a provider of web and technology solutions and consulting services with offices in New Jersey, USA and Chennai, India. He also serves as the Director of Technology for Medindia, a leading health website. He is an active supporter of several social causes including increasing awareness of organ donation and education of poor and under privileged girl children in India. He seeks to volunteer his time to help further the cause of MOHAN USA.